This week marks 40 days until Resurrection Sunday. While some celebrate with Lent and others do not, we should all prepare our hearts to celebrate the death and resurrection of our Lord Jesus Christ. 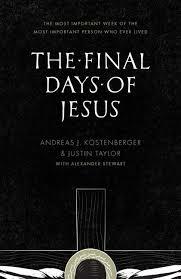 To help in that endeavor, let me encourage you to pick up and read The Final Days of Jesus by Andreas Köstenberger and Justin Taylor. A few years ago I put together a 40-day reading plan for that book. The outline lays out daily Scripture readings from the Gospels, many intra-biblical connections to the Old Testament, and the page numbers to read from The Final Days of Jesus. If you are interested in that 40-day reading plan, you can find it here. Here is the devotional guide’s introduction. Let it be an invitation to a slow, worshipful reading of the passion narratives in Matthew, Mark, Luke, and John. 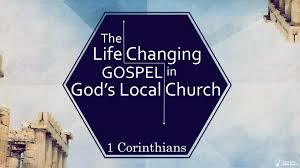 It has been said of Mark’s gospel that it is a passion narrative with an extended introduction. The same could be said of all the gospels. In each account, Matthew, Mark, Luke, and John introduce Jesus of Nazareth as the long-awaited messiah of Israel. In various ways they display his divine power and human personality. Yet, with each evangelist, the focus of their gospels turn to the final and climactic week of his life, the days leading up to Christ’s execution and his miraculous resurrection from the dead. To help you use this devotional reading guide, let me note a few things. The forty events of Jesus final week are broken down into forty days of reading. Some days of reading will cover 2 events. Other events will take two or more days to consider (e.g., Jesus teaching in John 13-17). With a few exceptions, each New Testament reading should take less than ten minutes and is intended to be useful for personal devotions or family worship. The Old Testament passages are citations either quoted in the New Testament passage of the day, or provide pertinent background information about the events taking place (e.g., the New Covenant or Passover). Days 1-7 (Sunday, Monday, and Tuesday in the passion week) must be read in your own Bible, with supplementation from TFDJ. The full text of Scripture begins in TFDJ on Day 8 (Wednesday) and continues until the end. On Days 1-7, you should select either Matthew’s gospel or Mark’s gospel and supplement your reading with Luke and John. If you have more time, you can read all Scripture passages on the given day, but on Day 7, for instance, that would include four chapters of Scripture. Beginning on Day 8, you can continue to read in your own Bible and supplement your reading with TFDJ, or more simply, you can read the assigned pages of TFDJ. By reading TFDJ you can seamlessly weave between Scripture and commentary. If time is short, focus on the New Testament reading. Finally, the Old Testament promises are not necessary for reading, but provide illumination for those pastors or parents who may desire to know more of the background to each event. You may also find other Old Testament references by keeping alert to the cross-references in your Bible. Three other notes: (1) On Day 2, the predictions of Jesus’ death have been included, though they do not occur in the final week. (2) On Days 33-34, a selection of exilic Psalms have been included to help you feel the sorrow of Israel’s exile and Christ’s death. (3) Be advised: Because John 13-17 in TFDJ are not versified, the starting and ending point on days 11-15 are ambiguous, but not unrecognizable. Most importantly, as you read: pray and give praise. Do not simply read these events with an eye to historical scholarship, but a heart that marvels at the sinless Son of God who laid down his life for you. If you do not know Jesus as your personal Savior, ask the Lord to open your eyes to behold the wonder of his law, and even more the gift of his Son. Martin Kähler, The So-called Historical Jesus and the Historic, Biblical Christ (Philadelphia: Fortress, 1964), 80n11.